Forbes says the 100 female leaders have a social media footprint that exceeds 812 million followers and fans. Yellen is followed by, in order: philanthropist Melinda Gates, Brazilian president Dilma Rousseff, International Monetary Fund managing director Christine Lagarde, former US secretary of state Hillary Clinton, General Motors CEO Mary Barra, US first lady Michelle Obama, Facebook COO Sheryl Sandberg, and IBM CEO Virginia Rometty. 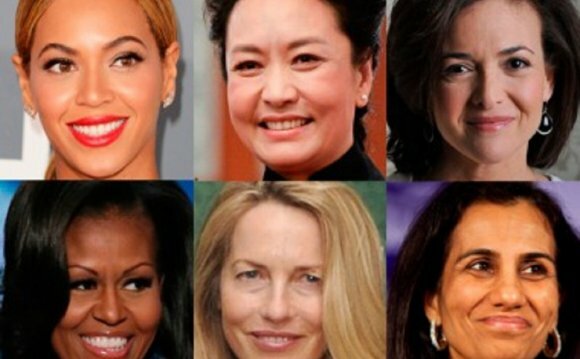 More than half of the 100 women – 58 – are American, including Pepsico CEO Indra Nooyi at No 13 singer-entertainer Beyoncé Knowles at No 17, Yahoo CEO Marissa Mayer at No 18, and Spanx founder Sara Blakely at No 93, who is world's youngest self-made billionaire at 43-years-old. Twenty-three of the women are from countries in Asia and south-east Asia. Forbes has been producing this list since 2004. Merkel has held the top spot since 2006, except in 2010 when she was surpassed by three American women: first lady Michelle Obama, Mondelez International CEO Irene Rosenfeld, and media mogul Oprah Winfrey. The women are chosen from eight categories or "power bases" that include billionaires, business, celebrity, finance, media, philanthropy and non-profits, politics and technology. Money, media presence, spheres of influence and impact are all factors in the rankings.